Gutters come in several colors, sizes and shapes called profiles so that you can pick the one that best blends with the architecture of your home. 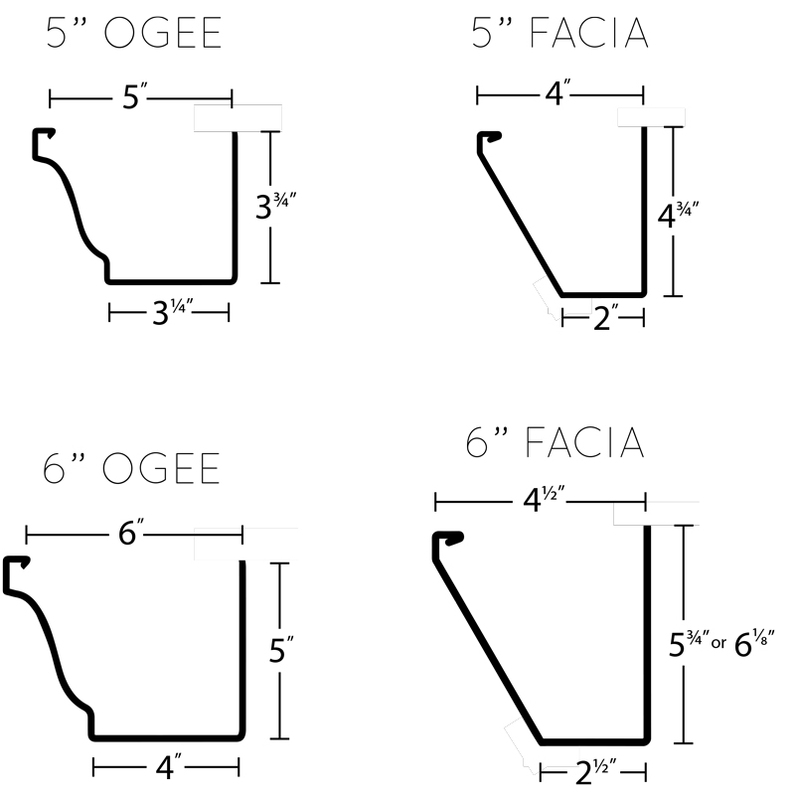 These include K-style(Ogee Profile) and fascia styles. Gutter channels are available in 4″, 5″ or 6″ . You’ll also find downspout choices that include 2″ x 3″ or 3″ x 4″ rectangular shapes, as well as 2″, 3″ or 4″ round downspouts. We use only top quality materials for our continuous aluminum gutters, copper gutters, steel gutters, and associated components to enhance the value and longevity of your home. 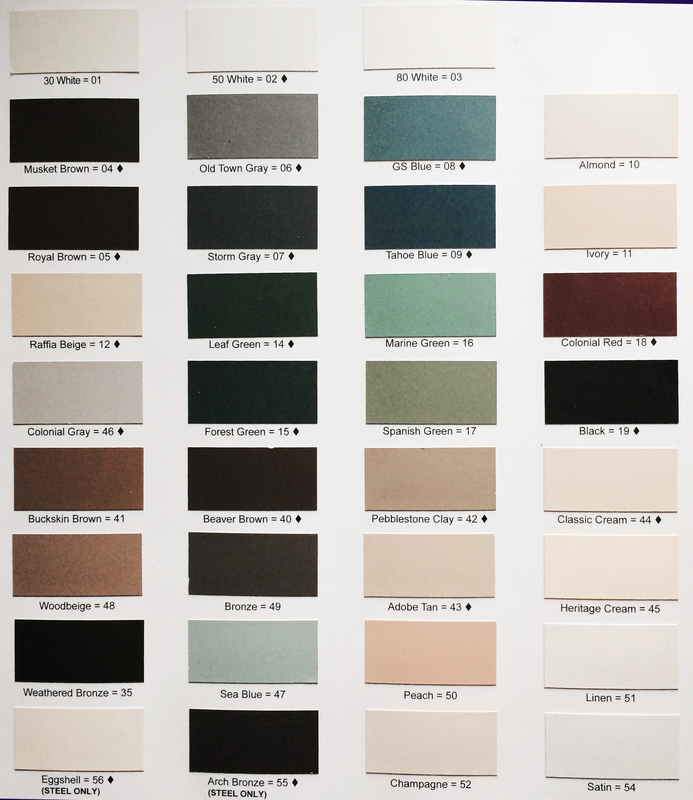 Click on the image to view all the colors we offer. Monitors may distort color options. Call us to request a printed copy. Seamless gutter simply means that a straight gutter is made of one continuous piece of gutter material. The gutter is made from a roll former which extrudes out the desired length of gutter needed. Gutters provide an important protection for your home or business. Water can do major damage if not controlled. Properly installed, quality gutters keep water flowing away from the structure of your home. A mostly invisible part of your house, these provide a valuable service by keeping water away from the exterior treatment of your home. Water can cause major damage to a home. Rain gutters protect your foundation, siding, doors , windows, roof, fascia, soffits, and decorative landscaping. We offer over 40 different colors to choose from!